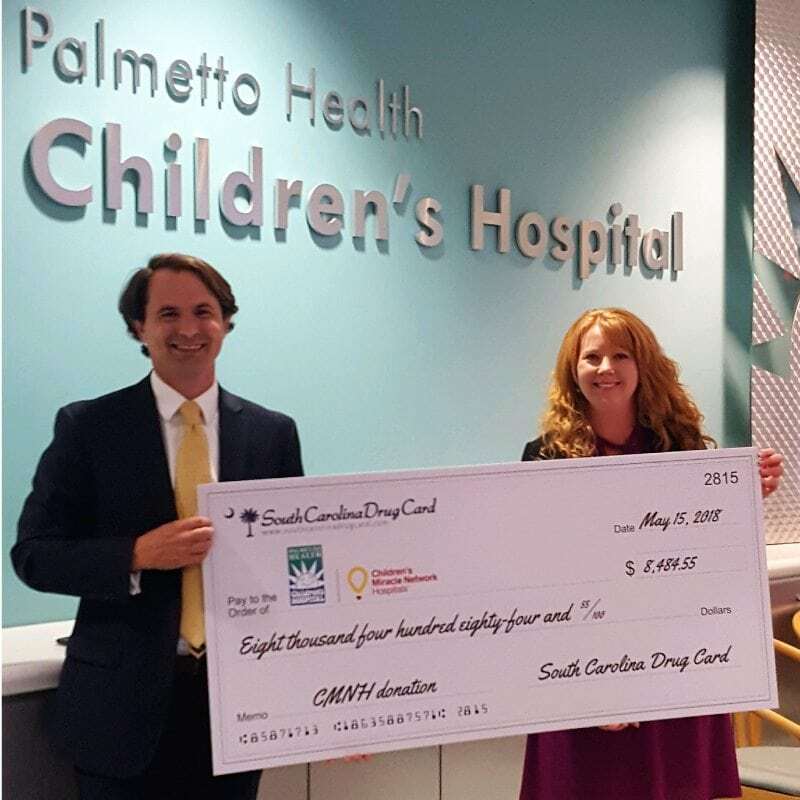 On May 15th, Michael Bell, South Carolina Drug Card Representative, presented a check to the Palmetto Health Children’s Hospital. Lynn Hazel, Director, Children’s Miracle Network Hospitals, was pleased receive the check donation in the amount of $8,484.55. After the presentation, Lynn gave Michael a tour of the hospital. Michael was truly impressed by the seemingly endless innovative services that are provided to the children to make their hospital experience easier to endure. Michael and Lynn discussed future plans to further strengthen the bond between Palmetto Health Children’s Hospital and South Carolina Drug Card. Since 2015, the United Networks of America partnership with Children’s Miracle Network Hospitals has raised over $2.4 million dollars for local children’s hospitals. Of this, $8,484.55 has been raised for Palmetto Health Children’s Hospital.